Lock in a great price for Villa Stresov – rated 9 by recent guests! The Villa Stresov is an elegant 5-star Swiss-style chalet radiating a cordial atmosphere in tastefully furnished, comfortable rooms in Borovets. 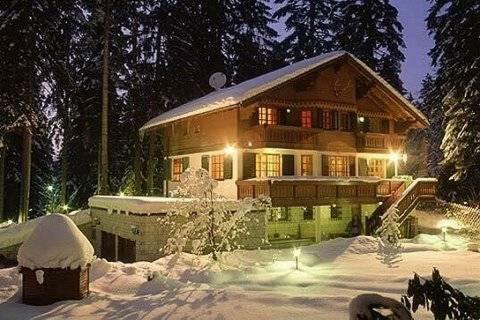 This uniquely luxurious mountain villa is located in the beautiful Rila Mountains, 0.6 mi from the ski elevator taking you to some of Europe's finest skiing in the largest and most popular ski region in Bulgaria. 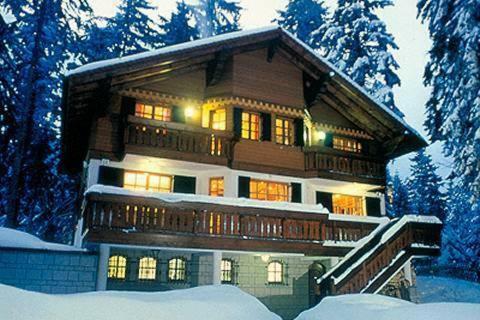 Open year-round, Villa Stresov provides the quintessential alpine atmosphere and comfort. Surrounded by a forest of towering pines, the chalet offers peace and quiet while at the same time being close to ski elevators, mountain trails, stores, restaurants and other Borovets attractions. 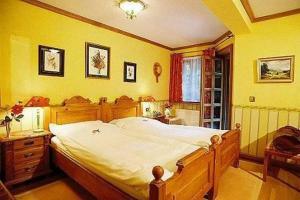 뀐 Located in the top-rated area in Borovets, this property has an excellent location score of 9.1! 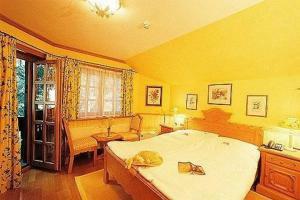 When would you like to stay at Villa Stresov? Featuring a hot tub, a sauna and modern fully equipped kitchen. House Rules Villa Stresov takes special requests – add in the next step! Villa Stresov accepts these cards and reserves the right to temporarily hold an amount prior to arrival. Please inform Villa Stresov of your expected arrival time in advance. You can use the Special Requests box when booking, or contact the property directly using the contact details in your confirmation. It was hosted by a caretaker couple - the wife was lovely and welcoming, however the husband was incredibly rude, inappropriate and unnecessarily aggressive to myself and my partner. He ruined the stay and I wouldn't recommend the place to anyone whilst he is on the premesis. The hosts were extremely nice and willing to provide everything needed. In the same time they kept our privacy and did not bother us at all. They were very nice with the late breakfast and late check-out. Definitely would go again! Breakfest was minimal And did not match the ather standarts.